Welcome to Traverse Legal Radio. Today’s program is brought to you by Traverse Legal PLC a law firm specializing in internet law, cybersquatting, intellectual property, domain dispute, defamation of character, and technology company representation. Good afternoon. My name is Mark Clark I am an attorney at Traverse Legal PLC. I practice in the non-compete area. This afternoon I am going to talk a little bit about Non-Compete Agreements that appear inside an Employment Agreement. Some employers will provide their employees with Non-Compete Agreements separate from their Employment Agreement. Other employers will provide a Non-Compete Agreement that appears inside an Employment Agreement. Where a Non-Compete Agreement appears inside of an Employment Agreement that may afford the employee a better opportunity to circumvent or extricate themselves from the Non-Compete Provisions. If the employee is able to assert a breach of any of the terms of the Employment Agreement with the employer, then the employee maybe able to argue that the employer committed the first actual breach of the overall agreement that includes the Non-Compete Agreement. First instance, if the employer promised the employee a benefit that appears in the Employment Agreement, be it compensation, insurance, bonuses, or any other “term” of employment that did not materialize, then the employee can argue that the employer breached the agreement and that the breach of the agreement by the employer justifies the employee walking away from the agreement in its entirety, including the Non-Compete provisions. There are several cases in Michigan as well as nationwide that stand for the proposition that the employer makes the first material breach of the contract and the Non-Compete provisions appear inside the employment agreement that the entire agreement , including the Non-Compete Agreement, would be voided. 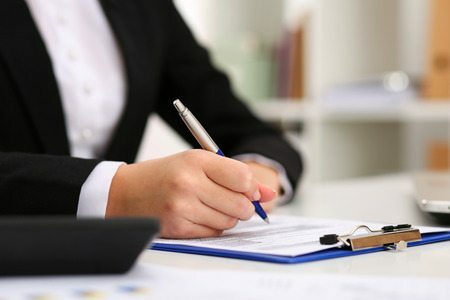 Make sure that when you review your Non-Compete Agreement or you have an attorney review the Non-Compete Agreement that you highlight the fact of whether or not the Non-Compete Agreement is within an Employment Agreement and if so whether or not the Employer has breached any of the terms of the employment that may appear in the Agreement. Where if the Non-Compete Agreement stands alone and is separate from the Employment Agreement, if it is signed at the same time as the Employment Agreement, if there is an Employment Agreement, then you still may be able to argue that the Non-Compete Agreement and Employment Agreement are intractably intertwined and that they are all combined into one agreement and that the consideration for the Non-Compete Agreement was a part and parcel to your employment. If so, there still maybe an opportunity that the Employer committed the first material of breach of the terms of employment that justify, nullifying, or voiding the Non-Compete Agreement. If you have a Non-Compete Agreement issue and you are an Employee attempting to extricate yourself from your Non-Compete restrictions you are best served if you have a qualified attorney review your Non-Compete circumstances to determine if you may have a valid opportunity to “void” those restrictions and move on from your current employment. The attorneys at Traverse Legal PLC are well qualified to check this out for you. The attorneys at Traverse Legal PLC can assist in a review of your Non-Compete circumstances and advise you whether or not you have a reasonable opportunity to switch employments.